John Racener, who goes by the moniker “$JMONEY$” to many in the online poker world, played second fiddle to Jonathan Duhamel in the 2010 World Series of Poker (WSOP) Main Event. He banked $5.5 million. The longtime online poker player’s signature scores include a third place showing in the Full Tilt $750,000 Guaranteed in April 2009 for $54,000 and a win in the PokerStars $500,000 Guaranteed. Racener owns a middle of the road stack entering the 2010 WSOP November Nine. When play resumes on November 6th at the Rio in Las Vegas, Racener will own a pile of 19.05 million, the fourth largest chip stack in the room. Despite being in the upper half of the leaderboard, however, Racener has about one-third of the tally of chip leader Jonathan Duhamel. 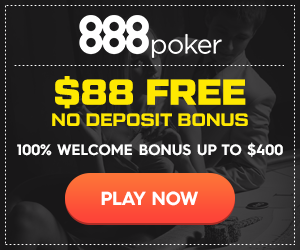 Racener would have come armed to the November Nine with even more chips had it not been for a late, untimely double up of Filippo Candio. Racener called Candio’s 4bet all-in and turned over A-K of clubs, while Candio tabled pocket rockets. Dominated, Racener watched as a king hit on the flop, giving him a glimmer of hope for another one on the turn or river, but no help came and Candio doubled through. Racener signed with Top Set Management, the same poker agency that represents 2009 WSOP Main Event champ Joe Cada. Racener was red hot in 2006, just as the poker boom in the United States was reaching its peak. He hails from Port Richey, Florida and, in December 2006, finished third in the WSOP Circuit Championship up the coast in Atlantic City for $103,000. One month later, Racener bubbled the final table of the World Poker Tour’s (WPT) Borgata Winter Open for $166,000. In December 2007, Atlantic City was once again his personal playground, as Racener won the WSOP Circuit Championship for a commanding $379,000. After recording four in the money finishes and one final table during the 2009 WSOP, Racener returned to Las Vegas in 2010 and logged three top 60 cashes for a combined $40,000. Then, his epic run in the $10,000 buy-in Main Event began. By Day 5, he had built a top 15 stack and quickly ascended into third on the leaderboard while being seated at the secondary feature table. On Day 6 of the 2010 WSOP Main Event, Racener had claimed the chip lead by the dinner break. He dispatched John “-BlackFours-” May after cracking pocket aces with pocket queens and vaulted to 4.5 million in chips. On Day 7, he opened with a table draw that included Tony “Bond18” Dunst, former “Survivor: China” castaway Jean-Robert Bellande, and Jeff “Mrrain” Banghart.